-I apologize for the delay. Life is pretty busy right now and that sadly means my ability to give the NTCF faithful what they want is somewhat limited. -I nearly predicted this win in my previous recap of the Villanova win. I knew that the Cincinnati game was going to be pivotal. It was a very important time in the season from the Friars. They could build on some success and work towards the middle of the Big East, or lose momentum and drop into oblivion like the past few seasons. PC stepped it up and made their way to 11th in the Big East. There are a few teams in the middle of the pack with 6 wins. They are within striking distance. I never thought I would say that the next game against USF is the most important game of the season, but it’s looking that way. -Hello Kadeem. It’s nice to see you again! -Batts must be an NTCF faithful, because the minute I call him out for not being productive enough, the dude drops 25 points and grabs 9 boards. We needed a huge game out of Batts, and he delivered. 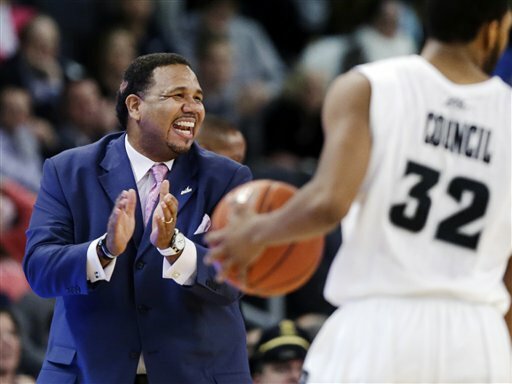 -Lee Goldsbrough gave Coach Cooley 26 solid minutes. I thought that Lee was going to be buried on the bench this season, maybe catching some minutes during a blowout in either direction. With the loss of Sidiki, Cooley needs big bodies and over the last 2 games Lee has showed that he is capable. -Josh Fortune and Bryce Cotton were both off of their game, making it essential that Batts dominate and the Friars play exceptional defense. They delivered on both. -Kris Dunn only took 2 shots in 34 minutes. I know his offensive production hasn’t been what we expected but the dude has to get shots up to get some rhythm. I love Dunn’s athleticism and his defensive intensity is by far the best on the team. With that being said, scoring 54 a game isn’t always going to equate to wins. We need some production out of Dunn. -With the being said, it’s encouraging that the Friars could grab a win while shooting 12% from 3-point land. -LaDontae Henton continues his streak of uselessness (you didn’t think I could go through a whole post without mentioning Henton, did you? ).